Real Estate Site Information and News! Whether you are planning to put your house on the market or you just want to grow your investment in your home, there are a number of simple ways you can increase your home’s value without tackling a large remodeling project. Typically buyers will request an inspection of your home. Beat them to it by regularly inspecting it yourself and taking care of any problems you find along the way. 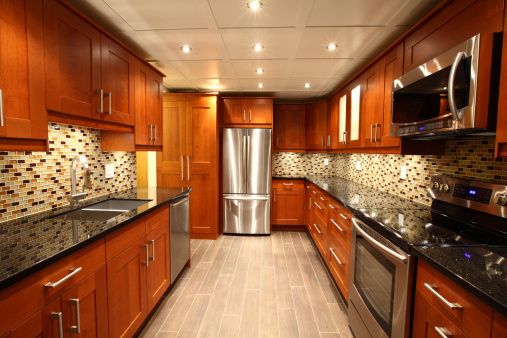 You don’t have to replace all your cabinetry to give your kitchen a new look. Just give cupboards a fresh coat of paint and maybe some new hardware to spruce them up. Light fixtures tend to be put up and be forgotten, so replacing old lighting with new fixtures can give rooms a more modern feel. Anyplace you have open space, think about putting in a table and some chairs. This showcases the potential of the space, which can translate into a perceived higher value. The simplest way to make a room appear bigger is to remove the photos, knick-knacks and other clutter that accumulate over time. Creating or showing off the storage capabilities of your house lets potential buyers see that their stuff will fit there too. Even a wire rack closet system presents the appearance of organization. Before investing a lot of time or money into a home-improvement project, give me a call. As your real estate professional, I can let you know what buyers in your area are looking for and save you money by preventing unnecessary upgrades! If you are looking for a top Agent in South Florida, look no further. Adrian is a top producing real estate agent and an expert in the South Florida Market. The Adrian4Homes Team specializes in assisting buyers and sellers and would love to provide you the expert advice necessary to make an informed decision. The team is focused on providing outstanding customer satisfaction as compared to no other. Whether you are buying or selling a home the Adrian4Homes team is here for you. Staying on top of the ever-changing Real Estate market, Adrian has many years of hands-on experience, not only as a Top Realtor in South Flordia, but as a Real Estate investor himself. When Adrian gives advice, he gives advice he would like to receive. Rest assured that when Adrian is by your side you are tapping into his experience as a Realtor AND Investor, which results in a win/win for you. Looking to buy or sell Real Estate in Florida or know anybody who is? Call Adrian Valdes and Start Packing!! !